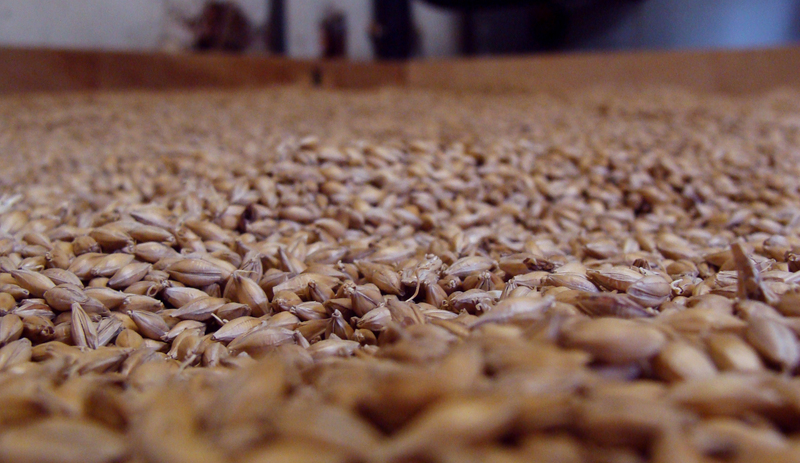 Malt on the solar-powered kiln at Branthill Micro Maltings. There being so many farms in Norfolk, one might wonder just what they’re growing. After my own heart, the farmers of Norfolk produce much of the barley Crisp turns into high quality English malts that I’ve used in my own beers in Brooklyn. Branthill Farms supplies over a dozen brewers in Norfolk with Maris Otter malt and operates The Real Ale Shop and solar-powered Branthill Micro Maltings. Naturally, to better get a taste for Norfolk, I made finding the shop a high priority. I mentioned that getting lost trying to find this place cost me time that I had planned to spend in some nature reserves along the way, but it was not without reward. Already I mentioned that it led me to meet a friendly wrestler and his dog, but the shop itself was quite nice. As I browsed the shelves of beer, I picked out a pair that I thought would suit me well during my trip, but what really caught my eye was an offering from Poppyland Brewery in Cromer, Smokehouse Porter. Not exactly what I wanted for a bike ride, but a far more audacious beer than anything else in the shop. Fortunately, next to the beer was a brochure inviting those interested to call the brewer for a visit at the brewery. So the next morning, I did just that, apologizing to the other end of the line for bothering him on a Sunday. Martin Warren, the brewer behind Poppyland, graciously assured me it was no trouble and he was happy to show me the brewery and sell me some beer. Housed in an old automotive garage opened around the start of the 20th century, Martin’s is a small operation, with a capacity in the neighborhood of just 2.5 bbl. After briefly discussing the kit and chatting about brewing technique and philosophy, Martin started talking me through the beers around the shop. Pointing at a cask, “That’s on its way to the Cambridge Beer Festival. It’s a gose.” I told Martin that I’d been looking for a gose, being curious about the style but never finding an example, and did he have any in bottles? He shook his head, paused, and then suggested that if I had some time to spare, I could be the first to taste it. Over glasses of his own gose and Ritterguts Gose for comparison, Martin told me of his former life as a curator and manager at the Cromer Museum, and his enduring passion for the culture and nature of Norfolk. The gose before us had been spiced with herbs that Martin foraged from local marshes rather than the traditional coriander, which gave the brew a complex and indulgent aroma of sea and salt. The fresh scent of vegetation without being vegetal, earthy without being dirty (both are common off-flavors and aromas in beer). 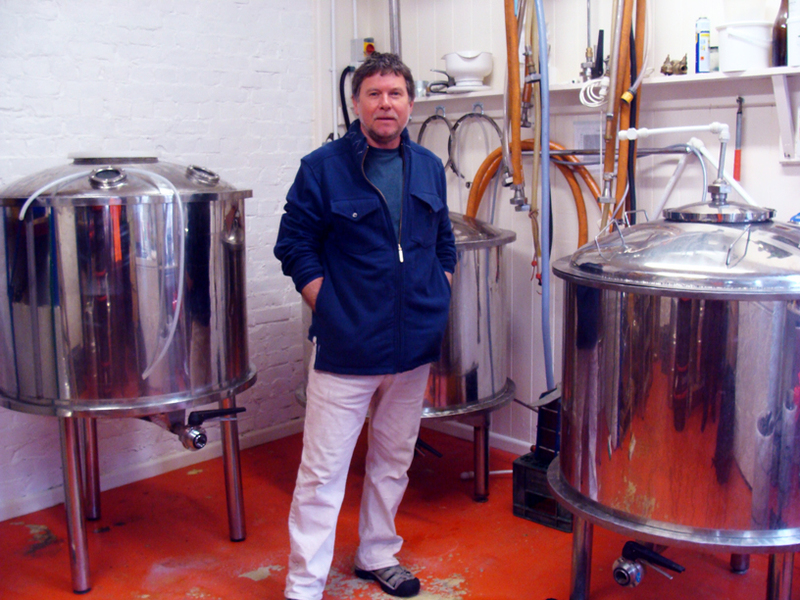 Martin Warren, brewer at Poppyland Brewery. Martin has also foraged damsons and crab apples for fruited saisons, and designed a beer specifically for pairing with Cromer crab. 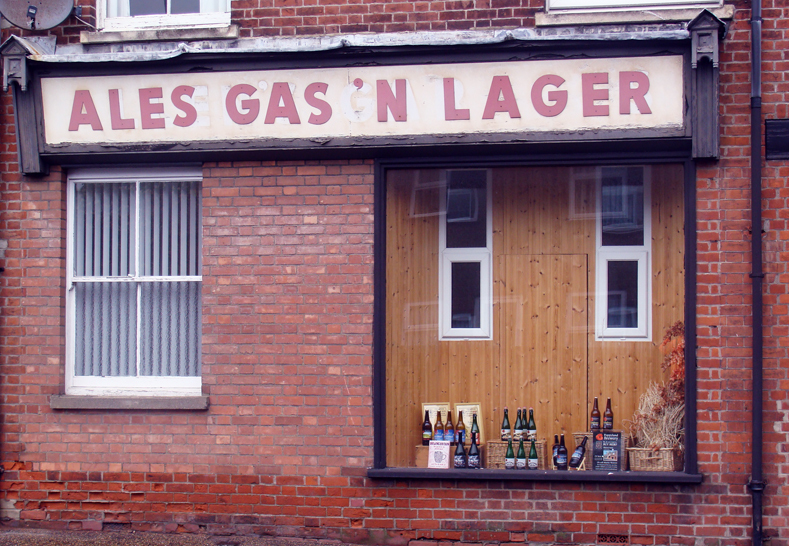 The brewery itself is part of Martin’s larger work, The Northfolk Project, which documents, explores, and shares North Norfolk through geology walks, books, and now brewing. After an hour and a half of enthusiastically chatting about American and Belgian beer styles, techniques for developing sourness from lactobacillus, and beer culture, I sadly had to be moving on. But not before I purchased a trio of beers, including the aforementioned Wild Damson Saison and Smokehouse Porter. Martin also generously gifted me an unlabeled bottle of gose which had been refermented with sea buckthorn, which I’ve agreed to let age to see how the sourness develops in time. The beers have been excellent. The porter’s smoke was well-balanced with bitterness and carbonation. The beer was more reminiscent of lean fish and tobacco than fatty pork (as with my smoked beer), which could be credited to the malt and hops being smoked over oak at a 165 year-old smokehouse in Cromer. The saison too displayed great balance and depth of flavor, with the fruit and hops mingling over a dry but malty backbone. But terrific as the beers are, I think the best thing I’ve gotten out of Poppyland Brewery is a new friend. Martin and I have happily bumped into each other again at the Cambridge Beer Festival, and I have offered to show him around the NYC craft and homebrewing scene should he ever pay a visit. I sincerely hope he does. This entry was posted in beer, travel and tagged Belgian, cycling, fruit beer, gose, lactobacillus, narrative, Norfolk, review, smoked beer, sour beer on May 22, 2014 by Dylan Bargteil.